A second rating agency has downgraded the struggling commodity trader to “junk”. That’s a further blow to sentiment. But investors were already wary and the financial impact should be limited. What matters is that Noble’s lenders, acting in their own interests, remain supportive. 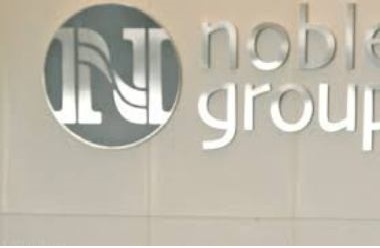 Standard & Poor’s cut its credit rating on Noble Group below investment grade, adding to concerns about financing costs for Asia’s biggest commodity trader a week after a similar downgrade by Moody’s Investors Service. Shares in Noble, which has been grappling with a rout in commodities and an attack on its accounting practices, fell as much as 10 percent on Jan. 8 to their lowest levels in seven years while its bonds tumbled 7 to 8 points. The downgrades will put more pressure on Noble to increase funding secured with collateral as it will be less able to tap capital markets and will have to constantly roll over debt from banks. The company, with a market cap of $1.5 billion, has a total of $2.5 billion worth of loans due this year, according to data from Thomson Reuters LPC. “We downgraded Noble because the company’s liquidity is below what we expect for a strong liquidity position, despite the sale of its agricultural unit,” S&P credit analyst Cindy Huang said in a statement, cutting the company’s rating to BB+ from BBB-.